Finding genuinely sustainable food products has now been made easy! Many of us struggle to sort through endless brand varieties of produce, fish or meat and their labels at the grocery store and although we all mean well, it comes down to a quick decision most of the time. We have created a best practices guide on truly sustainable labels, best choices and alternatives for each food category to ensure guilt-free, sustainable shopping! 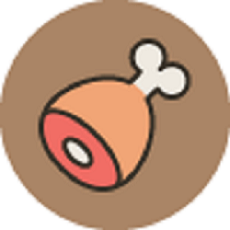 You can find our guide to produce, fish and meat by clicking on the icons above! We all want the right choice to be the simple one so dig in and enjoy! The project is still ripening but we can't wait to harvest it for your enjoyment! Check back to get first pickins!